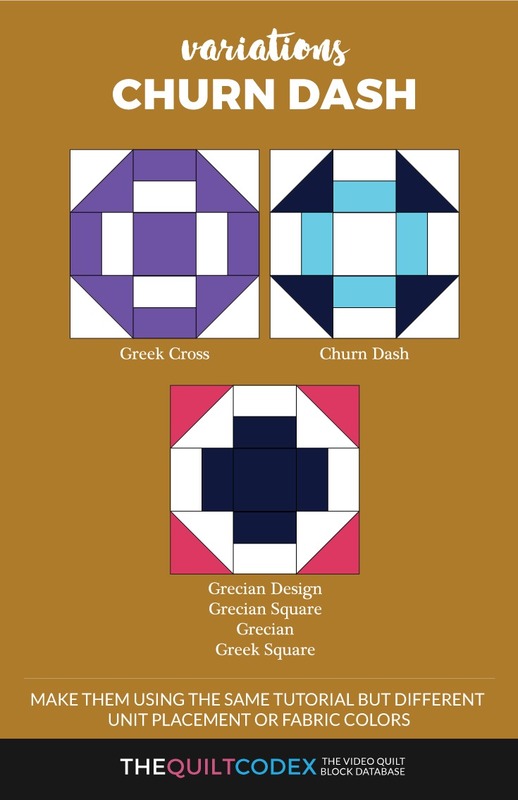 The Churn Dash is a very old quilt block pattern, originating between 1800 and 1849. Its name is a result of the resemblance of the triangle and rectangle perimeter of the block to a butter churn and the center square to the stick (or “dash”) of the butter churn. 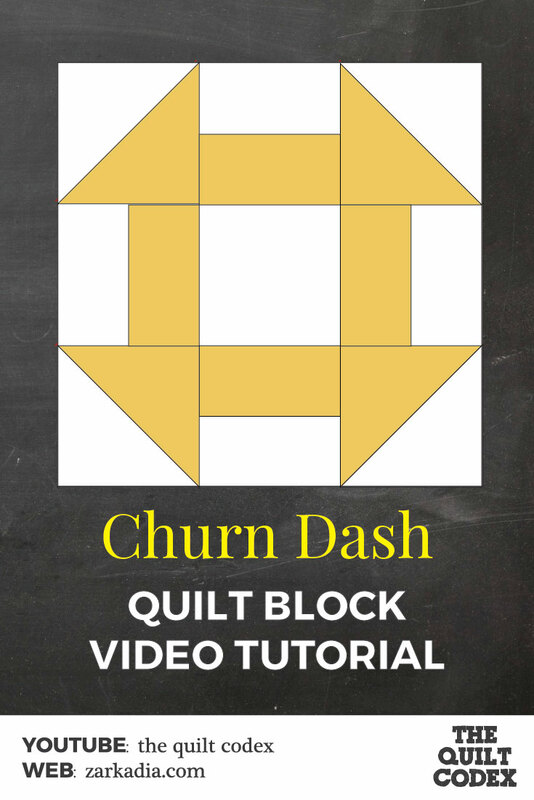 The Churn dash quilt block has some variations that are not easily seen at first sight, but they are almost the same. The Farmer’s Wife quilt series includes the Churn Dash quilt block, two times, as Wrench and as Churn Dash.